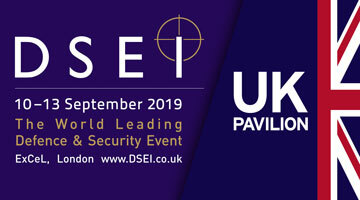 Defence and Security Equipment International (DSEI) is recognised as the world’s largest land, sea and air biennial defence and security exhibition, bringing together senior international trade and military experts from across the entire supply chain in an optimal business environment. In 2019 the UK Pavilion will once again, be ideally located in the South Hall alongside well known British Primes. Please download the floorplan to select your stand preference and review what is included in the exhibiting options. Prices are quoted per square metre. Please contact Gavin Muir for any clarifications on stand availability, otherwise please secure your space by booking online.